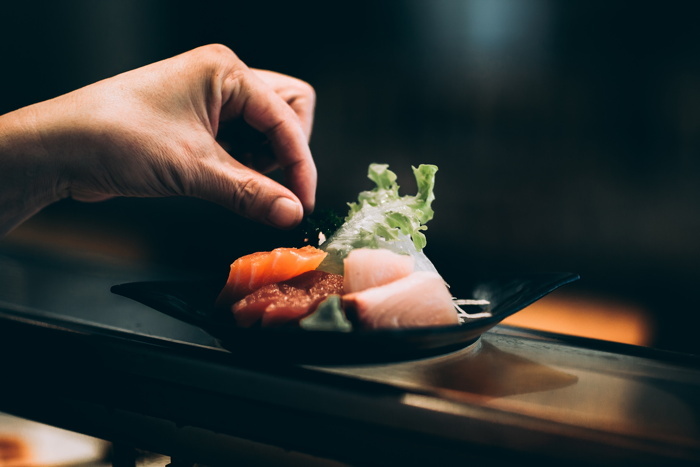 Hotels and fine dining have long been a near-perfect pairing but in todayÂ’s food conscious culture, the addition of an acclaimed chef at the kitchen helm can really put it on the foodie trail. Hotels and fine dining have long been a near-perfect pairing but in todays food conscious culture, the addition of an acclaimed chef at the kitchen helm can really put it on the foodie trail. Its no longer just the small number of household names, like Gordon Ramsay who set up shop at Claridges for 12 years, who draw in foodie fans. In Europe, smaller, boutique hotels are leading the way, adding quirky, interesting and exciting chefs to the gastronomic mix, says Richard Moulds, director of Foodservice Consulting at JLL. Hotels such as Londons The Curtain in Shoreditch have taken on chefs bringing a new freshness and creativity to dishes, with Marcus Samuelsson opening Red Rooster last year. Across town, Michelin-starred chef Tom Kerridge has been cooking for guests of the Corinthia since September. For diners, an element of discovery is also key, says Moulds: Its about creating something for foodies to hunt down and find, he says. Social media  and Instagram in particular  has a big role to play in promoting high-end hotel dining. Short-term, pop-up residencies of one to two months for chefs are proving popular among Instagrammers, says Moulds. In the Maldives, luxury resort operator Soneva has used pop-up food residencies as a way to enhance its profile and provide guests with a memorable experience  and perhaps even a reason to visit in the first place. Michelin-starred chef Kenji Gyoten appared at its flagship resort for a two-week post, while in Muscat, the Shangri-La Al Husn Resort & Spa hosted Danish chef and Noma co-founder Mads Refslund for four days in January. While a short-term residency may not be reason enough for someone to plan their holiday around, it can offer the cult, rock star effect and even raise interest from a chefs fans, says Moulds. For hotels in locations off-the-beaten track, the benefit for diners of being able to simply climb the stairs to bed after dinner cannot be underestimated. As hotels note the benefits of offering stand-out food and drink  spending on food and beverage at hotels rose by almost five percent in 2017  getting high quality chefs and providing a first-class experience are key. Reminders of a chefs background are typical, Moulds says, and central to dining decision-making. The challenge for hotels, says Moulds, is when a chef packs up their saucepans  something Berlins Regent Hotel experienced last year when Christian Lohse, the German capitals longest-serving two-star chef and a TV celebrity, left Fischers Fritz after 13 years. A change of concept by the hotel was swiftly announced. Appetite for an experience when dining is sturdy, Moulds says. In the case of Londons Mondrian hotel opening in 2014, award-winning U.S. chef Seamus Mullen worked closely with the establishments restaurant designers. With competition for both high-spending diners and highly skilled chefs continuing to heat up, hotels know that good food doesnt just give them an edge, it can make them a must-visit destination.